Dressing you like Anna or Elsa of Frozen or Olaf's Frozen Adventure costumes, Sing along to your Frozen favorites like Let it Go, and Do You Want to Build a Snowman while wearing our Disney Frozen costumes from our Xcoos online shop! 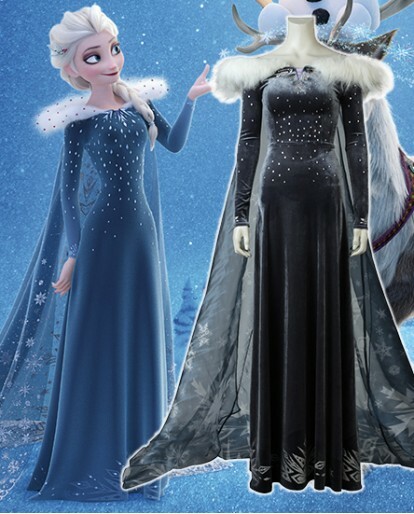 Olaf's Frozen Adventure Elsa winter costume is the perfect choice for the winter. Sparkling glitter snowflakes and a faux fur collar add to the magic of this unique costume. 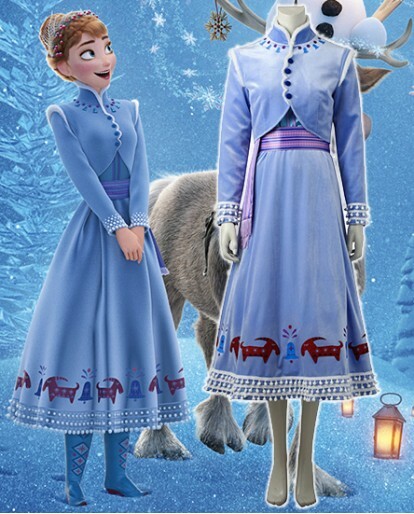 Xcoos.com provides you with this high-quality 2019 Disney Movie Frozen 2 Frozen II Anna Cosplay Costume Princess Dress. The Anna Cosplay Costume includes cloak, dress, trousers, belt, and bag.